We’re coming up quick on the dawning of a new era of the band formerly known as Clair… starting now and making her official rebranded debut on May 21st at Union Hall, Lindsay Sullivan, the singer/songwriter behind those darkly sweet tunes you knew and loved from Clair will be known as just that, Lindsay Sullivan. Expect lots of new players + some of the originals and a whole bunch of new songs… including this one, “Come Back Slowly” – awesomely recorded by Doug Keith. Get on to downloading that track and get it up on your Ipod now! You won’t regret it. Mark your calendar for the new beginning. 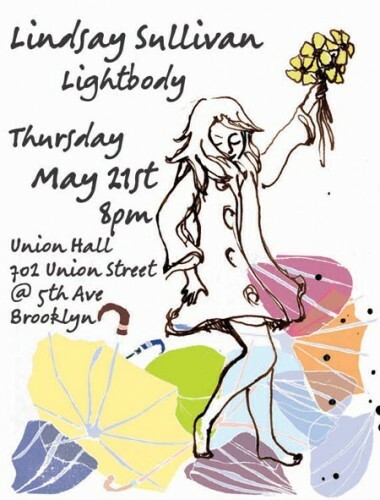 Lindsay Sullivan, May 21st @ Union Hall, Brooklyn, NY. Come celebrate the release of Ann Courtney & The Late Bloomers debut album Crocodile this Saturday, April 25th at NYC’s Rockwood Music Hall… for FREE! Ann & the Bloomers will be taking the stage at 10pm sharp, and, based on their previous shows at Rockwood, we’d highly advise arriving early to make sure you get in on the action! This is your one and only chance to get your hands on a copy of Crocodile before it hits all your favorite digital store fronts next Tuesday, April 28th (we’ll send you a reminder. don’t worry). Get on out, and get on down to one of the best voices and bands in NYC. Saturday, April 25th @ 10pm sharp! Listen to an interview with Miss Ann Courtney, April 17th on Ithaca College’s VIC Radio New Music Show. The interview will be on between 4 and 6pm. To listen, go to www.vicradio.org and hit that big “click to listen” button. 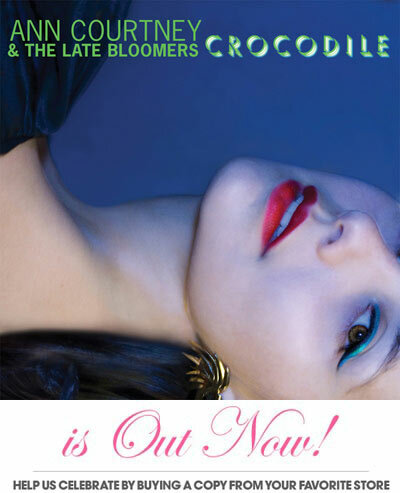 Ann Courtney & The Late Bloomers debut full length “Crocodile” is in stores on April 28th, but you can get your hands on an early copy if (and only if) you can make your way into the doors of Rockwood Music Hall on April 25th for the big release party. Be there! 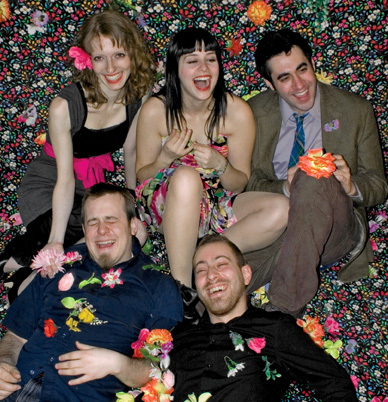 Ann Courtney & The Late Bloomers are playing Brooklyn’s Union Hall, tonight, March 24th! The band is on at 10pm sharp following Vanessa Bley. 702 Union Street in Park Slope, Brooklyn.